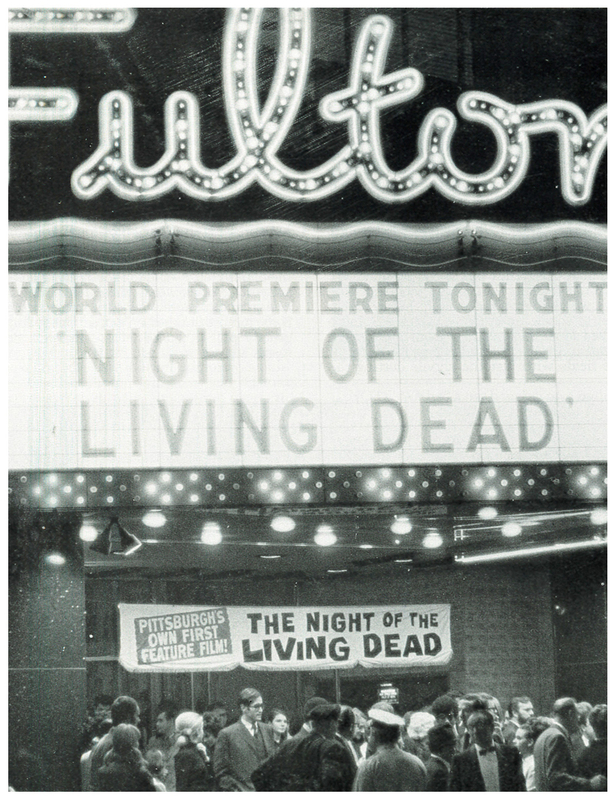 On the unseasonably warm evening of October 1, 1968, Pittsburgh’s Fulton Theater was filled with cinema lovers of all ages. 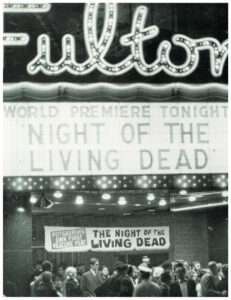 They’d come out for the premiere screening of Night of the Living Dead, a new low-budget horror picture by a young local filmmaker named George Romero. The vivid terror that Romero unleashed on those repressed, unsuspecting adolescents would eventually blaze a trail for the horror genre as we know it (not to mention the MPAA rating system. 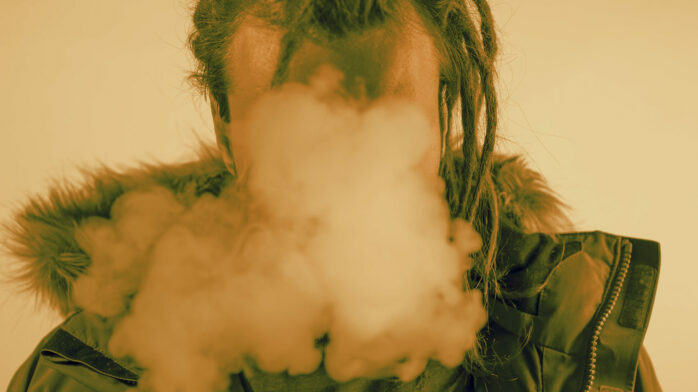 The film lives eternally via the National Film Registry in the Library of Congress, as well as in our nightmares. 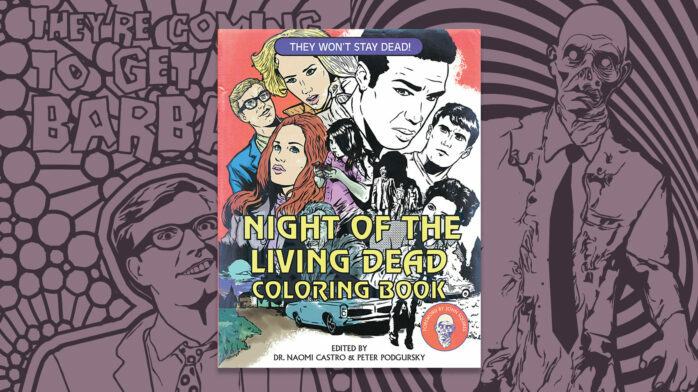 In honor of Night of the Living Dead’s 50th birthday, a group of talented Living Dead Heads is publishing Night of the Living Dead Coloring Book. 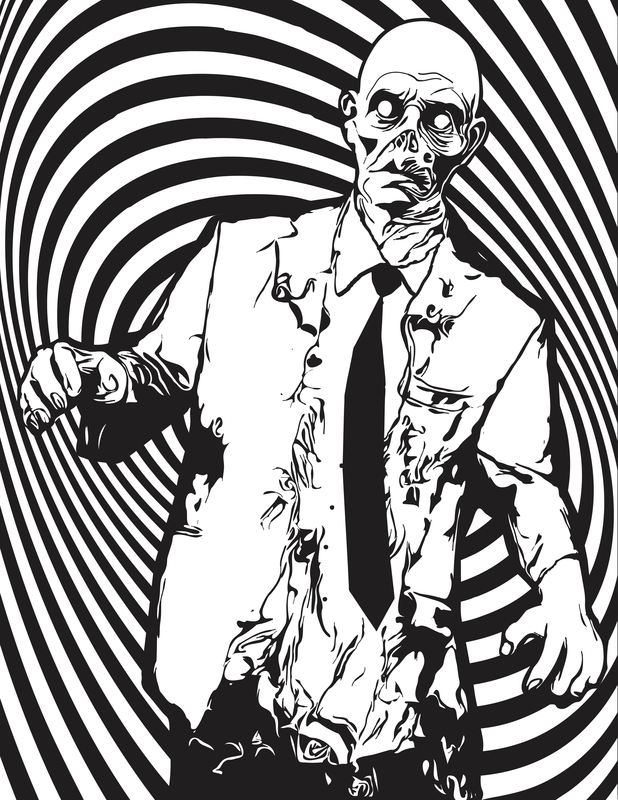 By day, Josh McKevitt is a mild-mannered graphic designer for TV shows like American Horror Story. 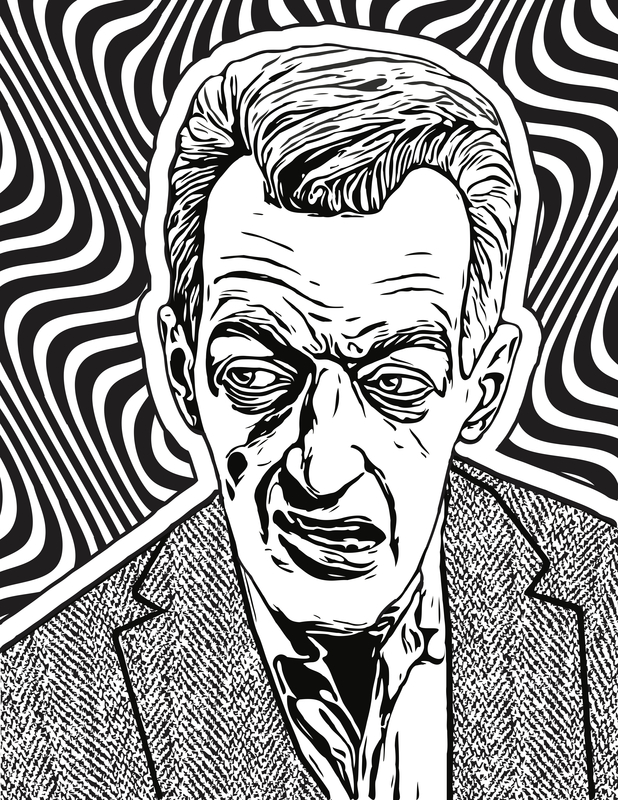 By night, McKevitt has lately been sketching up the terrifyingly fun cover of this book, alongside fellow contributing artists Vee Ladwa, Devon Marcel, and Scotty Richard. 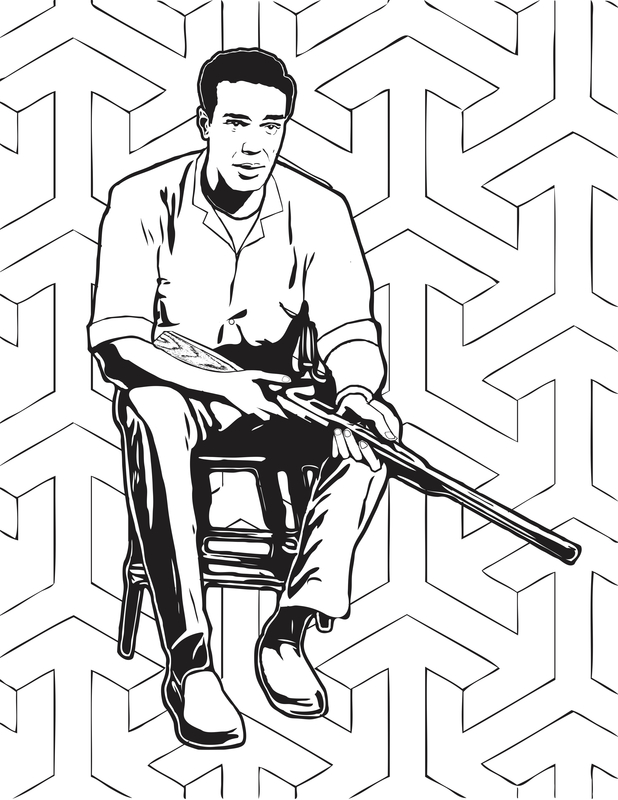 The coloring book contains 24 illustrations inspired by the film, and is available exclusively via the project’s Kickstarter page, which is nearly funded and ends this Friday, October 5. 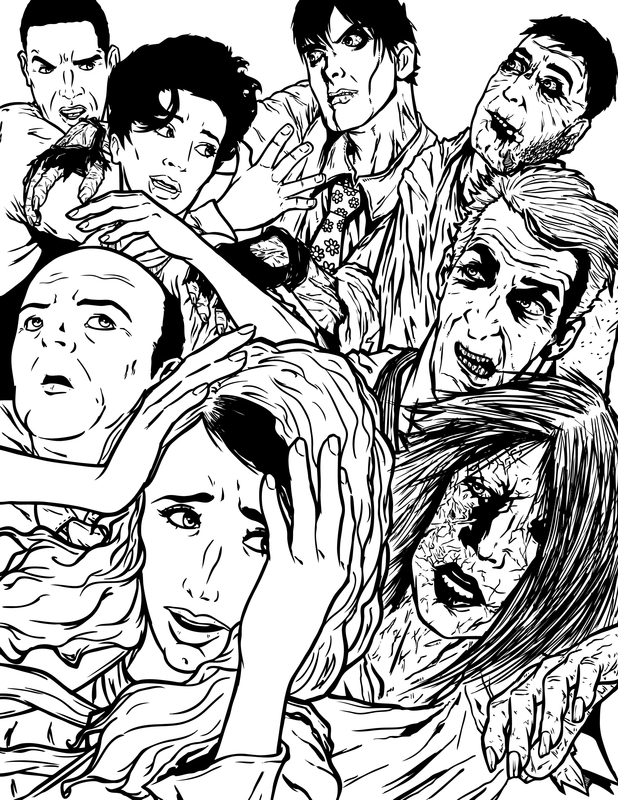 You won’t be able to get Night of the Living Dead Coloring Book into your trembling hands in time for a proper birthday celebration. 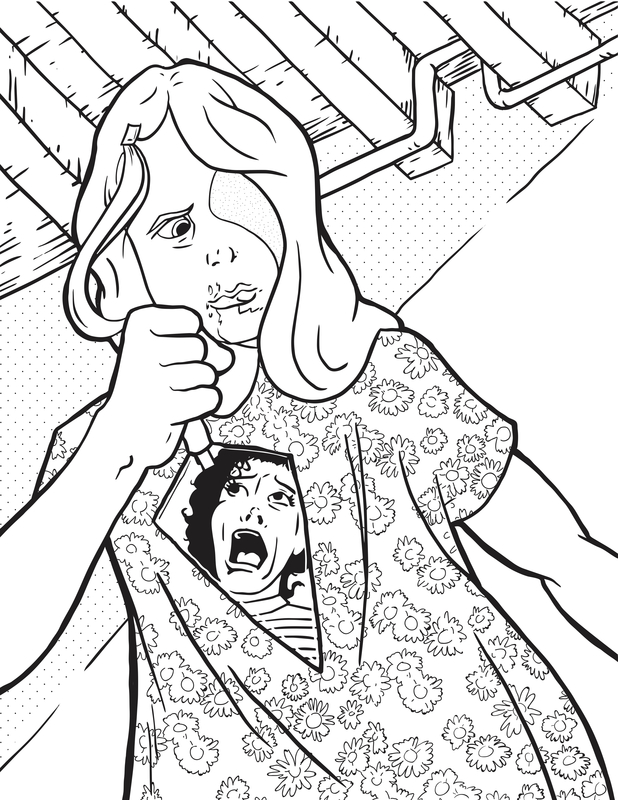 Thankfully, the book’s editors, Dr. Naomi Castro and Peter Podgursky, have let us share some of the pages of their braaaaains-child with you to color at home with the kids. 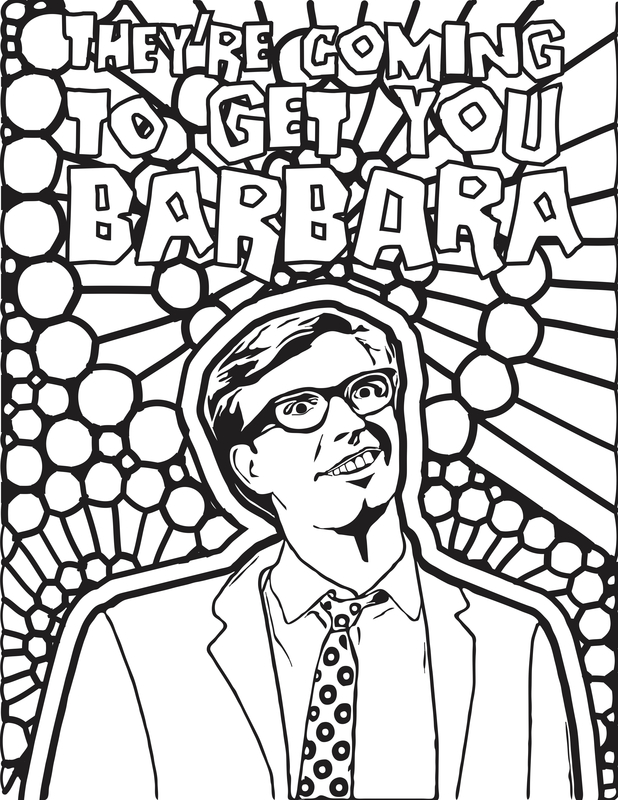 So grab some red crayons, click the images to enlarge, and print (or save to design later in MS Paint).